Dr. Rick Friedrichs, DDS is a general, family and cosmetic dental practice located in Tomball, Texas. The practice has been serving the Tomball Community for over 30 years, and their philosophy is “to always be a patient centered practice that is dedicated to providing comprehensive dental care in a warm, caring, Christian environment.” In addition to regular exams and cleanings, this innovative practice also offers orthodontics, dental implants, smile makeovers and treatments for TMJ/ TMD. When it comes to payments, the practice accepts most forms of insurance. However, as with most dental offices, patient insurance only covers a small portion of treatments. As a result, Dr. Friedrichs and his team offer other means of Financing such as Care Credit and iCare Financial. 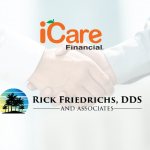 As they proudly promote on their website www.tropicaldentist.com, iCare Financial offers 0% interest and instantly approves all patients without a credit check. They have been using iCare Financial for about 3 years for patient payments and have found it to be quite successful. 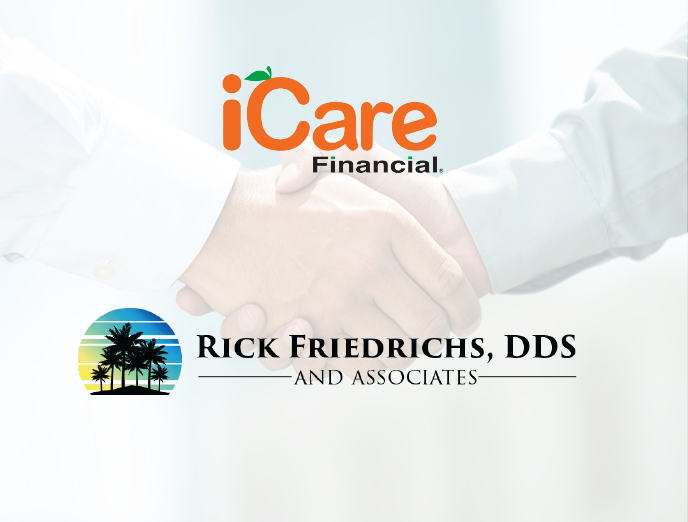 Dr. Friedrichs and his team stated that they would definitely recommend iCare to other dentists. General Manager Brad Bowsher mentions that using iCare Financial has enabled the practice to offer dentistry to patients that they otherwise wouldn’t be able to help. If not for iCare, the dentist would be “putting out fires” for people having issues rather than offering comprehensive dentistry. The reality of the situation, as Brad explained, is that many patients they see simply don’t have credit. “They are good people who have experienced some difficulties,” pointed out Brad. “Now they are able to get the work they really need, like a root canal, instead of pulling a tooth.” Further, the use of iCare Financial has allowed the practice to add an additional $150,000 to $250,000 of income each year. The practice’s marketing states that there is an interest free Financing plan for everyone. That means that “if you fit the criteria, there is a plan for you.” Patients who have come to Dr. Friedrichs and have seen this to be true, then tend to happily refer their friends and family. New patients, of course, are also pleased to find a dental practice that will work with them financially. Don’t ever turn another patient away. Give yourself and your staff the confidence to offer comprehensive and cosmetic treatments while knowing you have a finance program to get the job done. Don’t Delay Call 1-800-862-7908. Or click here to email us.